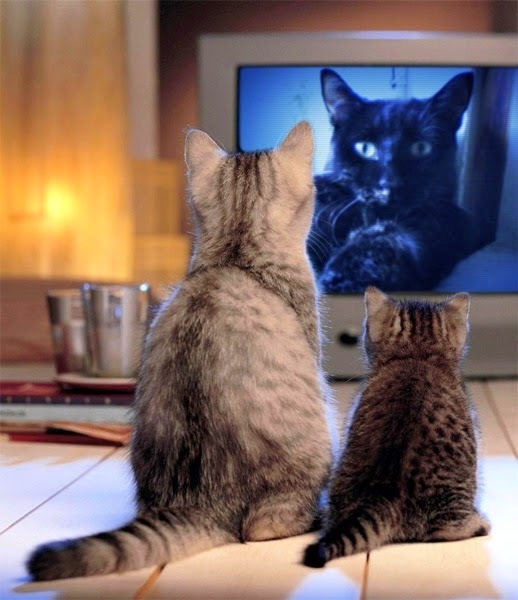 Do you think your pet belongs on television? I know that I would love to see Truffles' precious little face on the small screen! Why not enter your cat or dog in the Calling all Pets Sweepstakes and Contest by 1-800-PetMeds and make your dream a reality? Between 4/1/15 and 5/12/15 submit an original photo into the dog OR cat category and say in 100 words or less, why your pet is a star and should be on TV. Photo should be of one pet only and may not include other pets or people. Weekly drawing prizes will include a 3-pack of flea and tick preventative, a pet first aid kit and $50 gift certificate to 1-800-PetMeds. There will be 24 of these packages awarded, for the 24 weekly winners. The 24 weekly drawing winners (12 dog and 12 cat winners) will continue on to the voting phase. Voting will be open 5/20/15-6/3/15. There is a limit of one vote per day (24 hour period) per person. The top five pets in each category at the end of the voting period will advance to a final round of judging to determine the two Grand Prize winners. The highest scoring entry in each category will be deemed the Grand Prize Winners. 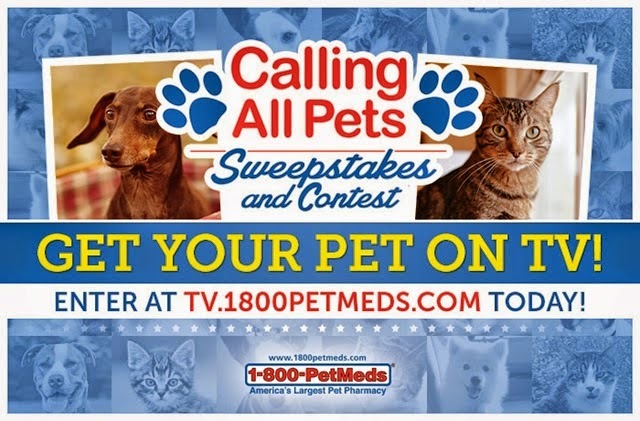 The grand prize winning pets will be featured in a 1-800-PetMeds commercial, to be filmed at the winners’ homes, and will also receive a Sony 55″ LED 2160p Smart 3D 4K Ultra HD TV. There will also be an additional prize drawing for voters. Everyone who participates in the public voting period will be automatically entered into a random drawing for a Sony 55″ LED 2160p Smart 3D 4K Ultra HD TV. The grand prize winners will be announced on 6/12/15. Please visit the official rules page for complete information. I'd love to see my cat Toffee on TV but I live in England so even if I were successful I'd never see it! I happened upon your blog by accident and I love it! Truffle's would be a fabulous addition to the small-screen. Watch out Cattywood! Sounds like a great opportunity for somekitty to be "discovered"! We wanna be on TV!! Aww good luck contestants. Hope to see a fellow blogger/pet star up on the screen! Thanks for the information :) Phoebe entered. Yep weez been twyin' to figger ot which foto to enter. MOL Good Luck. This is such a fun contest! I would be great to see Cinco or Manna on tv :) I might just have to enter them. Good luck to you Truffles! Are you gonna enter Miss Truffles? We think you're a shoo in! You entering, Truffles? I wanna know: what theme? what category?